There are many options to choose from when you want to give your Hyundai a luxury appearance. One of the most popular ways is to upgrade your vehicle’s stock wheels with some chrome rims. Before you choose just any kind of chrome wheels for your Hyundai, it’s best to find the right fit for your vehicle. When you want to have your vehicle set apart to make a statement, black chrome wheels are the way to go. These wheels give your vehicle a sleek, modern look for a unique appearance that you’ll want to show off. 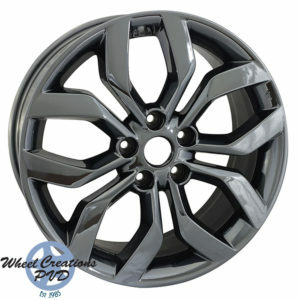 When it comes to the best black chrome rims available, there’s no better choice on the market than getting PVD chrome rims from Wheel Creations PVD. Our patented process for creating sleeking looking Hyundai chrome rims is unique and 100% environmentally safe. To create each of our chrome wheels, Wheel Creations utilizes a specialized powder coated primer along with a vacuum chamber to electrostatically sputter chrome onto the rims. This gives the rims a smooth finish you won’t find duplicated on other wheels. This process has been perfected over more than a decade of experience to create great looking rims that vehicle owners of all kinds love. We can add black chrome to a variety of wheels that are perfect for different Hyundai vehicles. If you want to upgrade to wheels with our PVD finish, we have you covered. The lasting finish we put on our black chrome rims comes in a variety of color options – including PVD Black Chrome, PVD Onyx Chrome, and PVD Midnight Chrome – so you’ll be able to find the perfect wheels to match your style. You won’t find better-looking chrome wheels on the market than the rims offered by Wheel Creations. We can give your Hyundai chrome wheels that always make an impression and are completely reliable. In developing our manufacturing process, we’ve created wheels that are more durable than other chrome plated options that are available. That means our wheels are sturdy enough to withstand curb rash, neglect, road chemicals, and harsh weather conditions that typically cause the traditional plating to corrode and peel away. So when you order Hyundai chrome rims from us, you know they will stay looking great for a long time. Let us help you by giving your Hyundai the chrome wheels you’ve always wanted, for a price you can afford. Our unique process can give you an OEM original upgrade that you can be proud of. 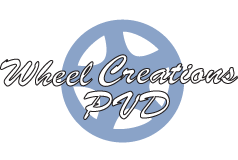 Learn more about the Wheels Creation difference or place your order today. Reach out to our team at (562) 381-2670 or email us at sales@wheelcreationspvd.com to get started.